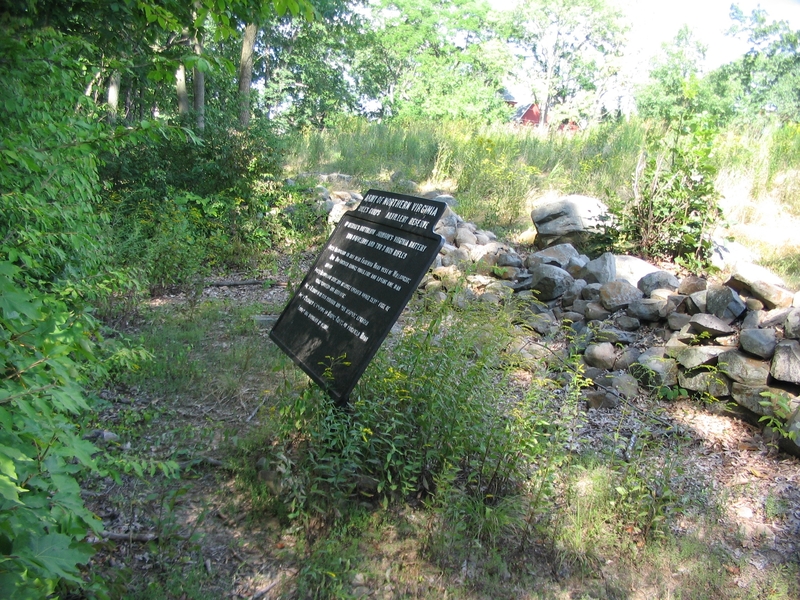 Additional Description: The tablet stands behind a stone wall, roughly 30 yards west of Confederate Avenue. Some sources place the battery's position further to the north, close to the Schultz House. McIntosh's Battalion maintained firing positions throughout the second and third day of battle along this stone wall.